Krylon Satin Finish 11 oz. 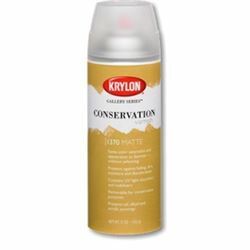 Krylon Conservation Varnish Matte 11 oz. Krylon Archival Conservation Retouch Varnish 11 oz. Krylon Kamar Varnish 11 oz.